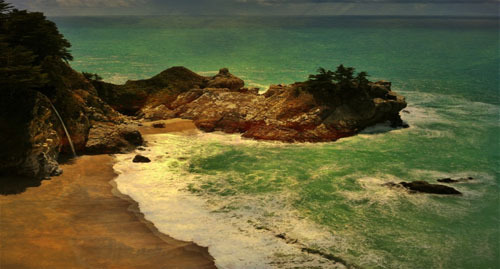 iResize can also be used to make images larger, to print them or composite them with other images. iResize offers the quick way to do this. 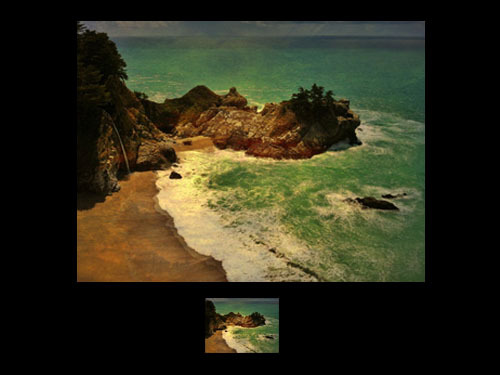 For better results, use a program like Photoshop or OnOne's Perfect Resize. How easy is iResize to use? As easy as a calculator. 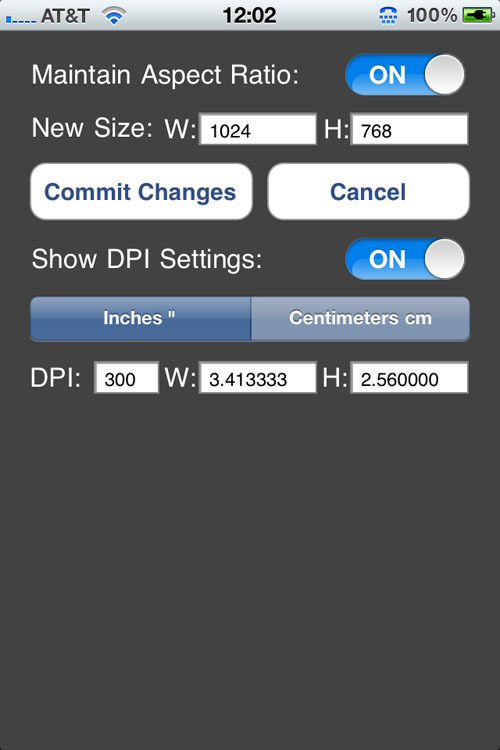 3	Tap resize and type in your desired pixel dimensions. 4	Tap Resize and Save. So how does this give you one touch resizing? Set Up Quick Resize. After you do, resizing and saving a new copy will happen when you tap the Quick Resize button. 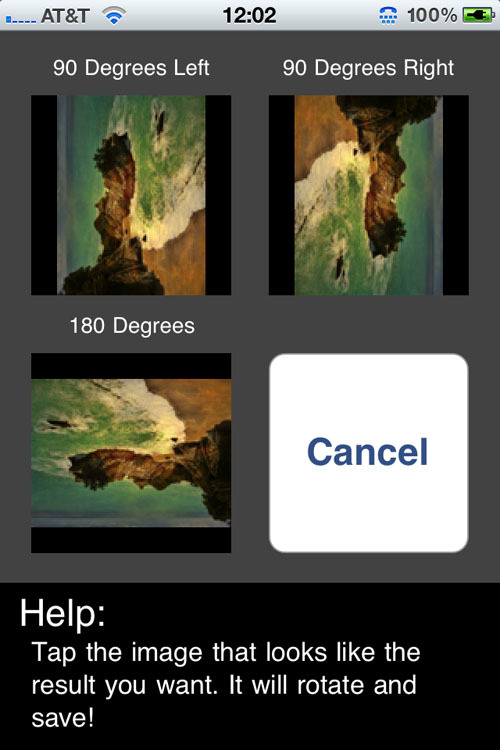 iResize will quickly rotate your images too. 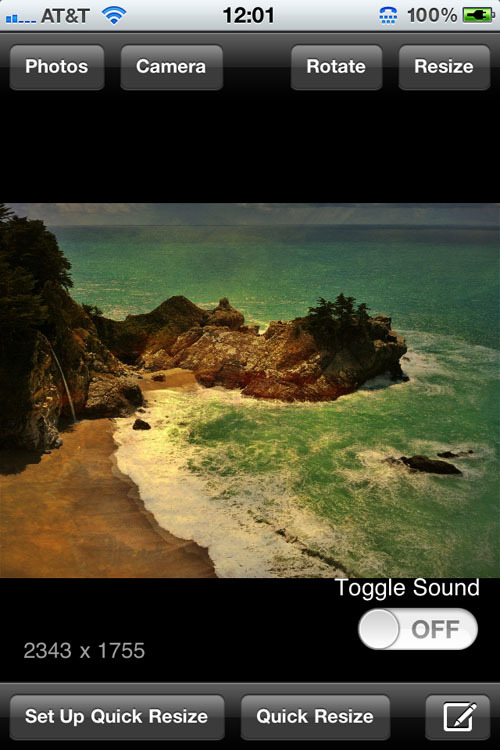 There's still one more use for this tiny app -- checking the resolution of your images. When you open the image in iResize, its pixel dimensions are instantly displayed. 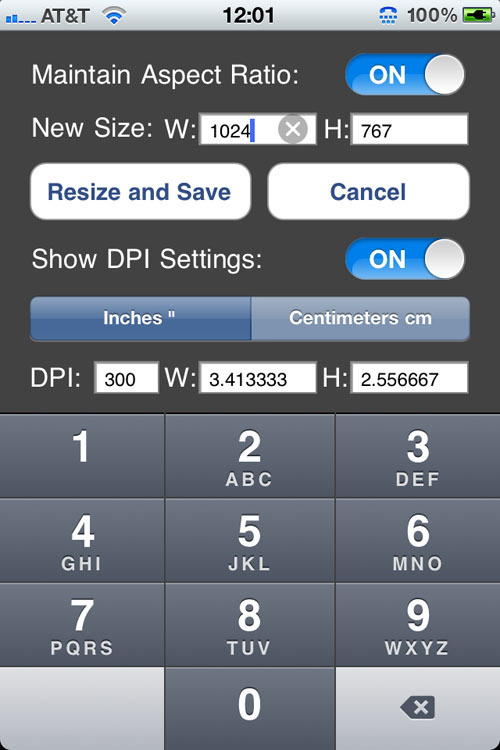 This can be very useful for checking whether other apps you're using resize your images when you use them. If they do, check the preferences of the app to see if this can be changed. If this can't be changed, it's good to know this ahead of time. (For some apps this may be a deal breaker.) For this reason, iResize becomes a useful app to help you evaluate all other apps. iResize is one of those apps that you can learn instantly and is so easy to use that you'll quickly overlook how often you use it, which is exactly what makes a go to app.